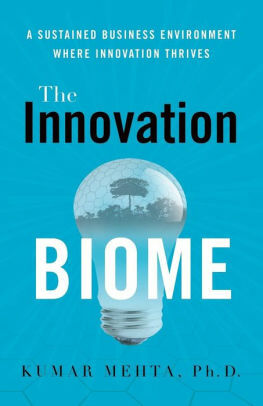 In his book The Innovation Biome, Dr Kumar Mehta sets out to debunk the myth that innovation is about the (1) Next, (2) Big, (3) Thing. It is not. The book is full of interesting examples. Below I go over some of the examples Dr Mehta uses to make his point, that innovation is not about the next big thing but about creating a sustained business environment where innovation thrives. Innovation is not about the (1) Next, (2) Big, (3) Thing. Next: Most innovations are combinations of existing technologies. Think about the smartphone. The combination was unique, none of its components were. Big: Most innovations start small, even the big ones. Google, Uber, AirBnB, and even the printing press all started surprisingly small. These ideas got limited traction in their earliest days, at best. Thing: Nowadays, innovations rarely are things. Instead, like the list above, it are mostly services that make the difference. Dr Mehta points out how quickly large, innovative, and successful companies can disappear. Blockbuster, Nokia, Blackberry were all heralded for their innovativeness. Yet, these companies disappeared from the radar screen, or went under, just a few years later. Being innovative is clearly not sufficient to sustain your long-term reign as a company. Dr Mehta provides some interesting examples of why and how market research can be totally off. One of the examples is about Gillette’s razors. How Proctor and Gamble went about entering the Indian Market. They researched all things related to shaving, from the different type of facial hair (much thinker) and habits (not daily), to willingness to pay (not much). Nevertheless, the introduction was a major flop. Why? 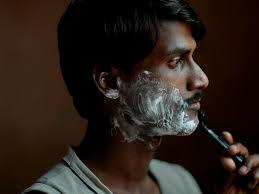 Because they missed that in India, men don’t use running water to shave. Instead, they use a cup. Without running water, the Gillette razor became utterly useless after the first stroke, as it filled up with hair. Where I disagree with Dr Mehta, is that this flop could have been avoided by using ethnographic research that is part of the design thinking approach. A keen observer probably would have noticed such a detail, but for the same token, this particular piece of information could easily have gotten lost in the mounts of data such research typically delivers. What I found perhaps the most interesting concept of the book, was the notion of the experience delta. It is the difference between how things are done now and how they will be done using the new solution. The difference is the experience delta. This experience difference helps to explain some of the most successful innovations, such as the printing press. As Dr. Mehta argues, the printing press by itself was rather useless at the time. Very few people could read, so there was no need for cheaper books. Who would buy those? However, the printing press allowed books to become cheaply and widely available, making it possible for more people to learn how to read. 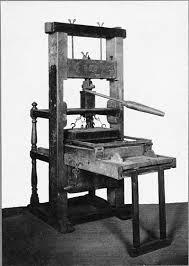 It does drove demand for cheap books, reinforcing the need for the printing press. The experience delta did not come from making printing cheaper. Its value came from enabling more people to learn how to read and absorb new knowledge. One of the calls in his book is for better metrics. Dr Mehta explains why functional success may not be the best way to measure innovation, as it often gives a falls sense of being on the right track. Instead, he suggests to focus on progress and outcome metrics. Unfortunately, he does not clarify what such metrics could entail. Last, but not least, the book explains that innovation takes a village. It is not about the next big thing, but about a collaborative, concerted effort that requires the contribution of everyone in an organization. ⟵Has Digital Transformation always been about sifting data, strategy, and culture?